The WSD Strategic Plan discusses goals and strategies to be addressed by the District in the next five years, beginning with fiscal year 2015. These goals and strategies serve as the foundation for the District Improvement Plan, Regional Improvement Plans and Campus Improvement Plans. 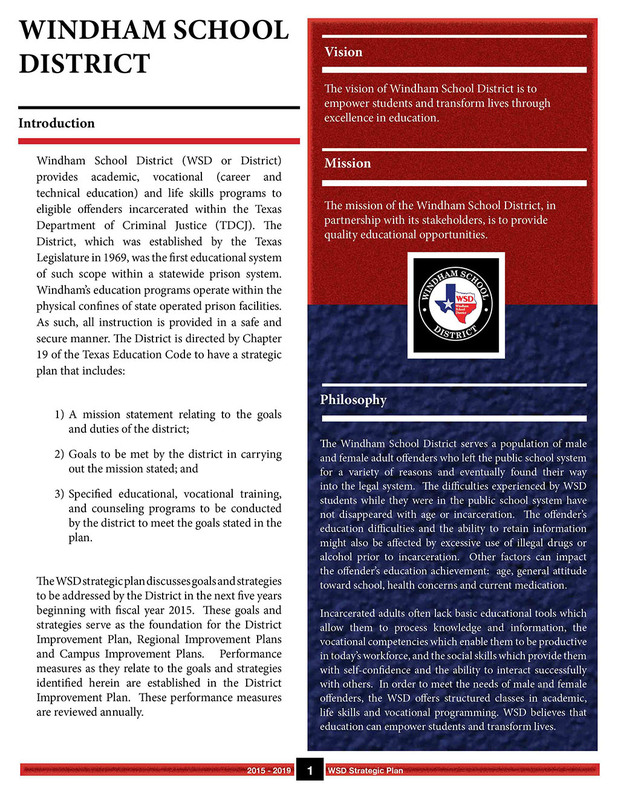 Performance measures as they relate to the goals and strategies identified herein are established in the District Improvement Plan. These performance measures are reviewed annually.